A very good quality Victorian copper mould with a Prince of Wales feathers design to the top. This mould does not have a manufacturers mark but it is marked with the pattern number '451'. The design is identical to that produced by Benhams and the mould dates from c.1880. 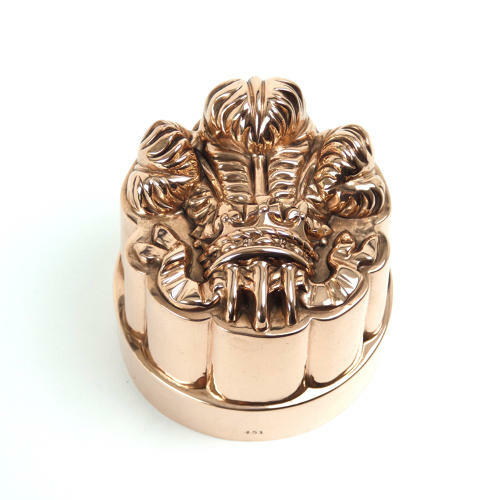 The moulding to the top is very deep and well detailed and the mould is made from a substantial gauge of copper. It is in excellent condition although the tinning, to the interior, is just slightly worn.